13 July, De Krim, De Cocksdorp, Texel, Noord-Holland, juvenile, photographed (N Baas; Dutch Birding 32: 353, plate 488-489, 2010). 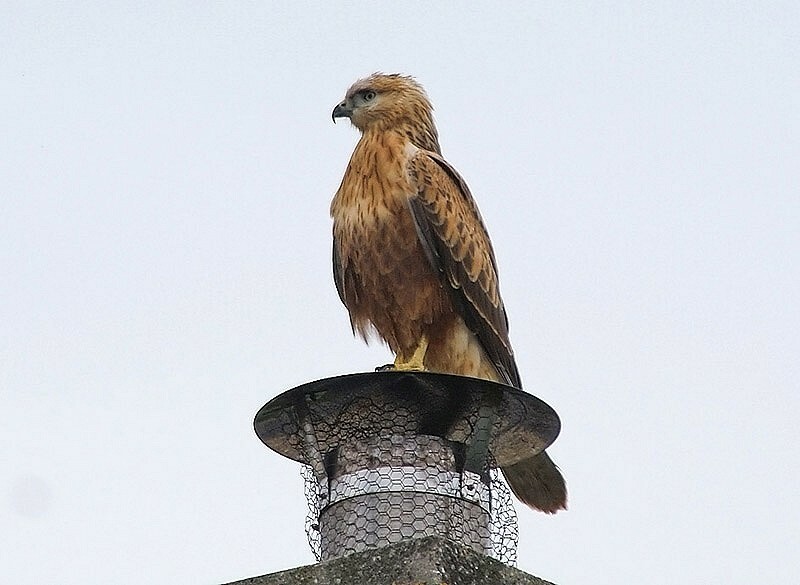 This bird was found and photographed by a tourist in a holiday cottage park, resting on the chimney of one of the buildings. The photographs came to light days later, when the bird was no longer present. The possibility of Atlas Long-legged Buzzard B r cirtensis was considered, mainly because of the rather fine-looking bill, but the committee decided that the taxon involved could not be determined with certainty. Annual Report 2010.